It was founded 120 years ago by the pharmacist Uebe, in a small German town of Zerbst, where he achieved his worldwide success with simple diagnostic device: thermometer for temperature- as we all know today, and then he starts his triumphal march all around the world. His innovative spirit is still the driving force of the company. Uebe GmbH, in his idyllic home in Wertheim, launched Cyclotest ® –the first special thermometer for natural family planning. Beginning of electronic age: digital temperature measurement. Cyclotest ® high –tech development: Natural family planning due to the microchip, which is more comfortable and safer now. Uebe GmbH is distributing, selling and servicing sphygmomanometers" Visomat®" and "Domotherm ®" of Roche Diagnostics GmbH / Hestia Pharma GmbH. Uebe GmbH moved in October 2002 year in new centers for service and logistics. New hall was built for 1.500.000 € in the immediate vicinity of the main building, houses the areas of service, quality control and dispatch. UEBE Medical GmbH celebrated “25 years of Visocor ®”. UEBE Medical for the first time through its Visomat ® offers revolutionary technology of “gentle measuring blood pressure”. ​The same year, Cyclotest ® successfully introduces a pregnancy test as a new branded product. Premium brand for blood pressure monitor celebrated a jubilee – “30 years of Visomat”. 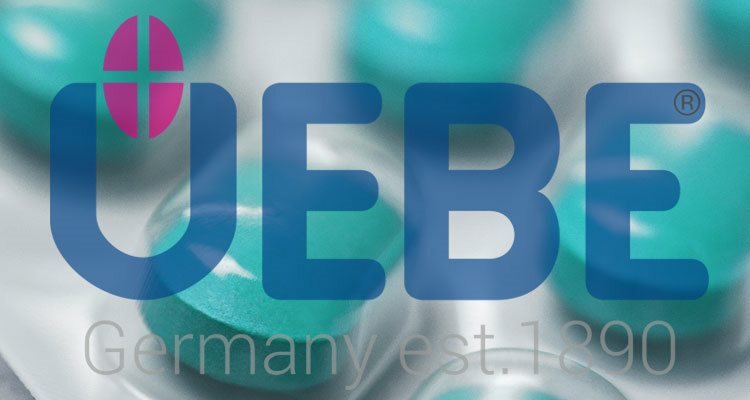 UEBE Medical GmbH celebrated 120-years anniversary of the founding of the company.